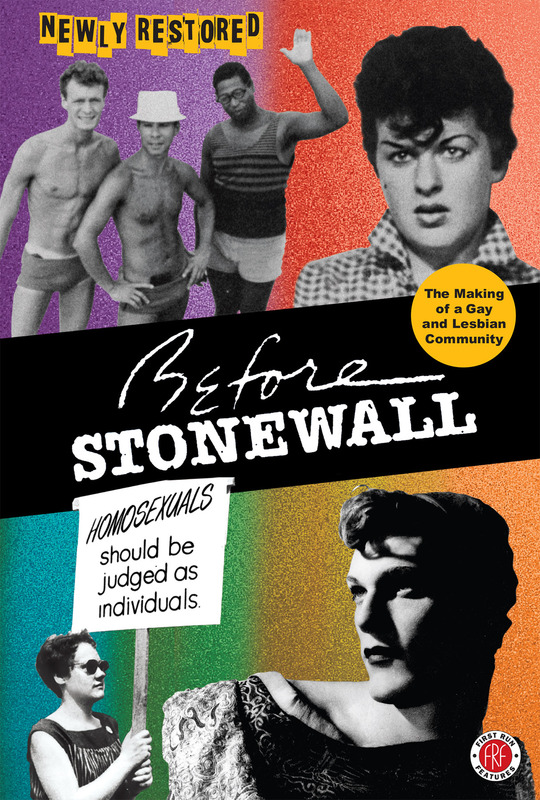 We're excited to share the new trailer and poster of Before Stonewall: The Making of a Gay and Lesbian Community, newly restored for the 50th Anniversary of the Stonewall Riots. I hope you'll consider programming this landmark film for your theater or festival in celebration of the 50th Anniversary of Pride. The filmmakers are eager to participate in post-screening discussions via Skype or possibly in person. Please let me know if you're interested. I'm happy to send a link to the newly restored version as well. In 1969 the police raided the Stonewall Inn, a gay bar in New York City's Greenwich Village, leading to three nights of rioting by the city's gay community. With this outpouring of courage and unity the gay liberation movement had begun. Before Stonewall pries open the closet door, setting free the dramatic story of the sometimes horrifying public and private existences experienced by LGBT Americans since the early 1900's. Revealing and often humorous, this widely acclaimed film relives the emotionally-charged sparking of today's gay rights movement, from the events that led to the fevered 1969 riots to many other milestones in the brave fight for acceptance. Experience the fascinating and unforgettable, decade-by-decade history of homosexuality in America through eye-opening historical footage and amazing interviews with those who lived through an often brutal closeted history. About the restoration: The 16mm negative was scanned and digitized at Periscope Films in Los Angeles. The file was then color corrected at Edition Salzgeber in Berlin, who created the ProRes and DCP. Director Greta Schiller supervised the process and approved the new ProRes and DCP.